Fred, like many young men his age, joined the armed forces amidst the patriotic fervor sweeping the country after the attack on Pearl Harbor on December 7th, 1941. 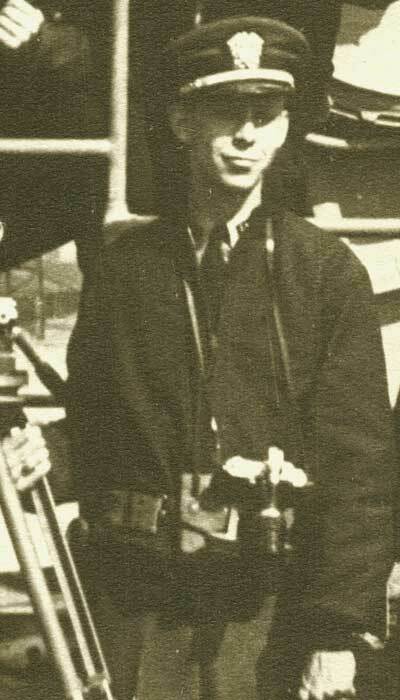 During his training as a naval lieutenant, Gerreston was assigned to lead the Navy's Combat Photography Unit #8. Before he left for the United Kingdom, his wife gave him a Gallet MultiChron Clamshell as a parting gift, which he wore throughout the war. The unit he led was responsible for many iconic images of the war, in particular photographing the 2nd wave of the D-day invasion at Utah Beach, Normandy. During this invasion, Gerretson later related that just as he was taking a picture with his Leica camera, the camera was struck by a bullet and knocked from his hands. Gerretson's Gallet also served him well in civilian life when he took up sailing. 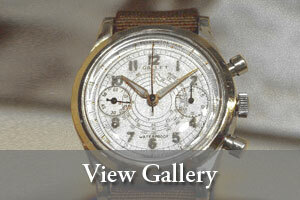 This watch accompanied him on many trips including five passages to Bermuda on his sailboat.